Insufficient soil moisture is the main limiting factor in agriculture in many parts of the world and Global Warming is exacerbating the problem. In many places, although there is sufficient rain to grow crops, rainwater, especially in storm events, runs off quickly before it can percolate into the soil profile. Small crop agriculture typically exposes soils between the beds, in the beds before planting and in between the crop plants. In areas practicing dryland grazing soils are exposed between sparse grasses and weedy plants. 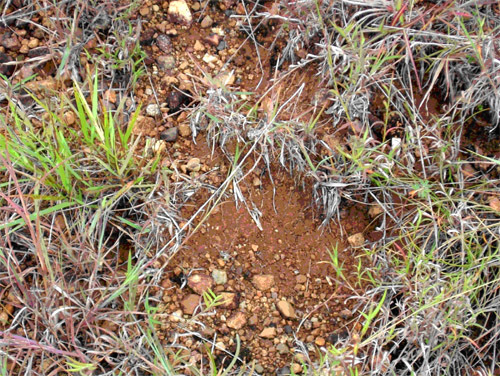 Topsoils exposed to rainfall erode quickly but they also tend to form crusts as larger particles (soil colloids) are smashed into fine particles by raindrops. In places that experience heavy storms, topsoils on grassed or unvegetated slopes are lost very quickly. Flooding on flat unvegetated land also carries away vast quantities of topsoil. Lack of fertile topsoil is a major limiting factor in agriculture. Reducing soil erosion and increasing soil moisture levels are urgent priorities for agriculture in the developing world. 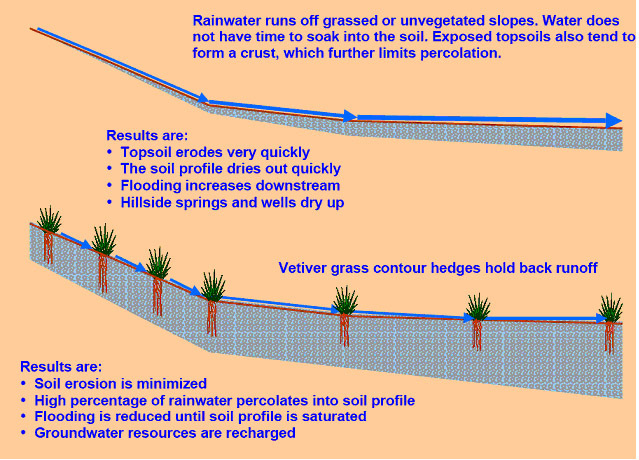 On slopes physical barriers are required to retain topsoils and hold rainwater long enough to allow for percolation. In flood zones, permeable barriers are required to slow water velocity and trap sediments. Water harvesting contour hedges must be horizontal. Sloped hedges will act as drains, carrying water away rather than holding it back. Vetiver grass, planted closely in contour hedges, traps eroding topsoil and holds back stormwater runoff allowing it to percolate into the soil profile. The massive, deep root systems of the vetiver plants also facilitate percolation. 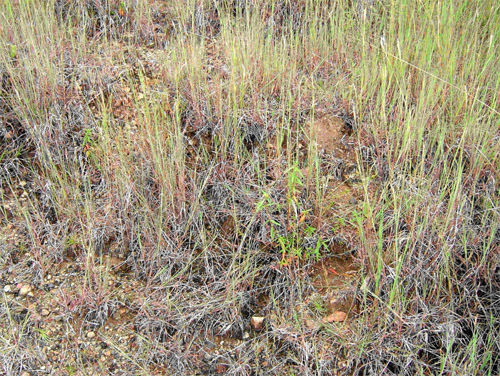 Established vetiver plants survive prolonged drought and will regenerate after fire. Vetiver grass, planted in hedges perpendicular to overland flows, slows water velocity while the dense, fine-leafed foliage traps sediments. Established vetiver plants can survive flooding for weeks. Vetiver contour hedges are a permanent and durable solution to soil erosion. Vetiver contour hedges continually harvest rainwater over the years. Vetiver hedges perpendicular to overland flows permanently mitigate against soil erosion in flood zones. Vetiver grass is non invasive, it does not produce traveling stolons and it sets mainly sterile seed. Vetiver roots grow vertically downward, importantly, it does not compete with adjacent crop plants. Vetiver will not grow in shade. If reforestation or plantation establishment is the ultimate aim the (no longer required) vetiver will slowly die out as the tree canopy closes. Vetiver has been proven in many projects, in many countries, worldwide. The World Bank has been promoting vetiver via field projects and The Vetiver Network for many years. Large areas require large numbers of vetiver plants. Vetiver plants are produced commercially, by government agencies and NGO’s. As a rough guide, bearing in mind that plantings must be designed specifically for each location, vetiver planted at 5cm spacings requires 20,000plants for 1,000m of hedges. Costs and prices will vary according to several factors but economies of scale will likely be the major influence.